Good condition. Foam, non gusseted panels. Front block. Center billets. See below for details from the Strada site. * C – Brilliant for the table top back found in draft-types or native breeds (flat in all dimensions, very little wither), but also useful for very wide individuals of many other breeds, including Arabs. The panels consist of a dense visco-elastic shock-absorbent foam, which reacts to heat and pressure. Firm when cold, they are quickly softened by the horse’s body heat plus the rider’s weight and reach a consistency best compared to raw steak. 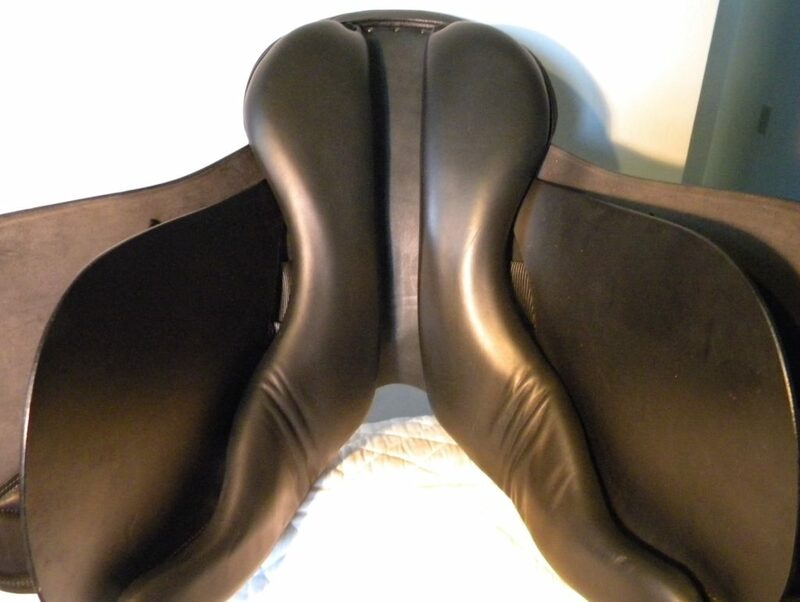 They mold completely to the horse’s back, follow every movement and are extremely comfortable for both horse and rider. 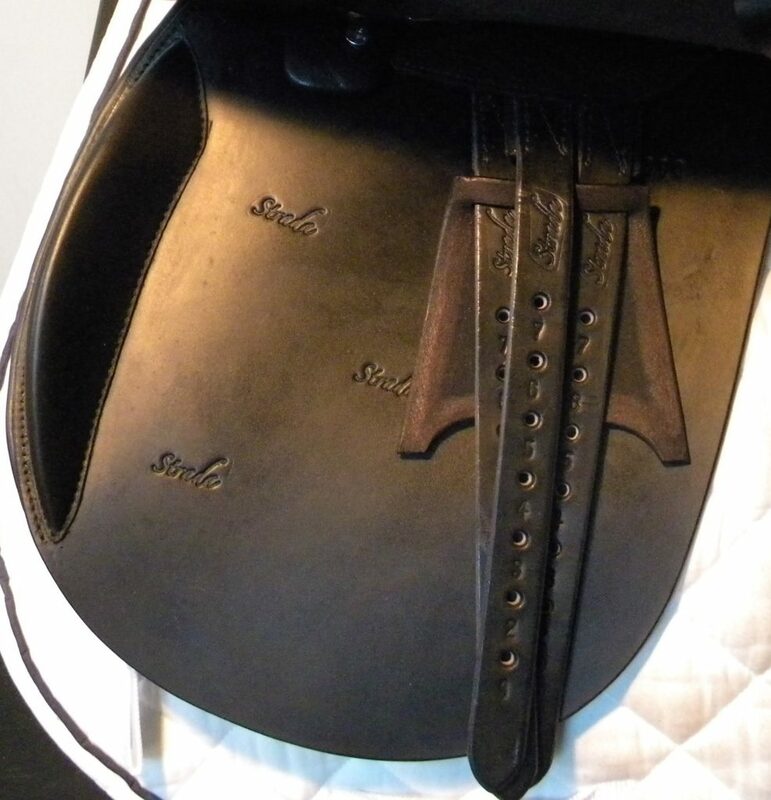 Strada saddles are designed to be very close to the horse. With the saddle warm and the rider sitting in it, no more than 2 fingers should fit between the withers and the underside of the pommel. [If there is a bigger gap, the saddle is likely to be the wrong fit for the horse.] 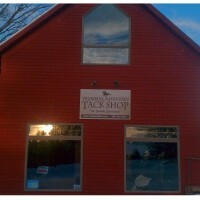 The points of the tree will sit around the horse, not on it and will consequently never pinch. They leave the shoulder completely free to move. 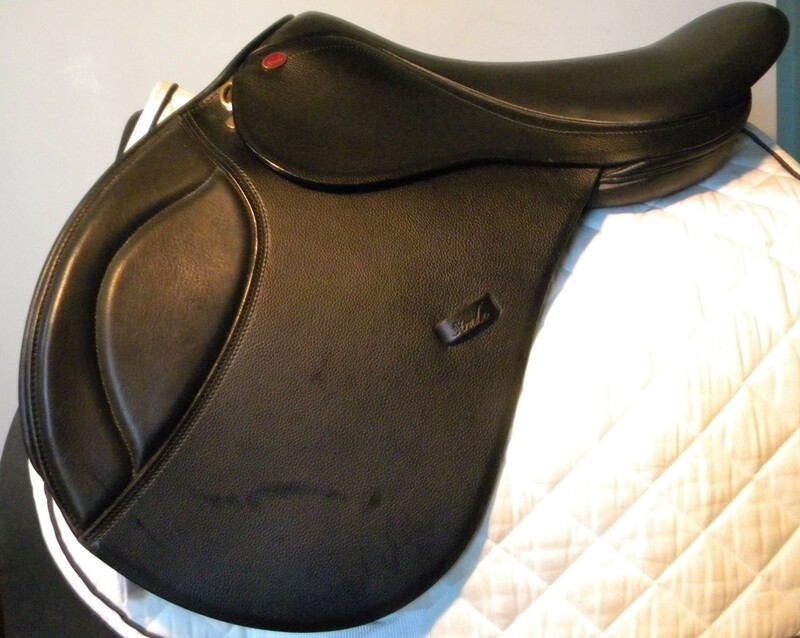 The panels are therefore positioned a little higher into the front arch than is seen in other saddles, which gives a secure fit while retaining the shoulders’ freedom.